Alla Prima Still Life- NEW SECTION ADDED! 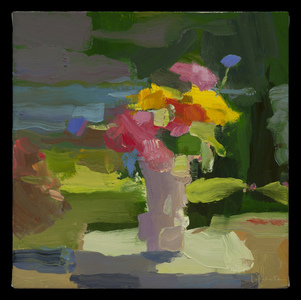 Responding to the still life motif, learn how to build an oil painting directly, with the emphasis on color. The workshop will begin with a painting demonstration, followed by painting sessions in which students will be guided through a series of focused procedures: composing a painting and establishing tonal design, mixing color, achieving harmony and palette organization, applying large color masses, and using principles of oil viscosity to build form into wet-into-wet painting. Monday-Friday June 24 2019 - June 28 2019 SIGN UP NOW! CLASS IS FULL, waitlist available! Bring your garden clippings for a Flower Painting Marathon! 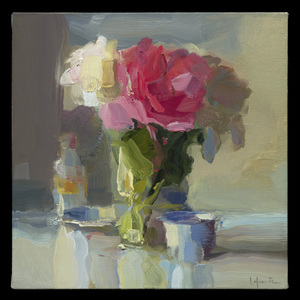 This 3-day workshop focuses on alla prima technique in oil painting with a focus on color and palette. More specifically, this workshop will cover palette organization, control of color mixing in tonal painting, use of mediums, composition, and learning to see in painterly abstract terms. Each day will consist of a 1-2 hour lecture and demonstration, followed by painting time with one-on-one instruction. Be prepared to experiment! Open to All Levels, Class size limited to 8 students. 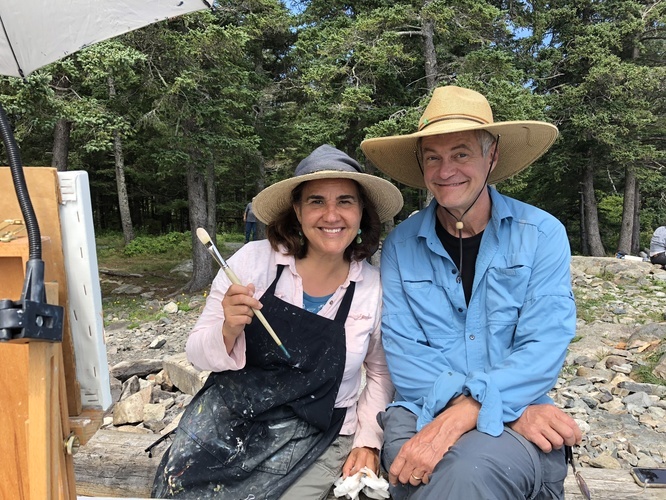 This workshop will focus on oil painting techniques in working directly from observation in the Maine landscape. 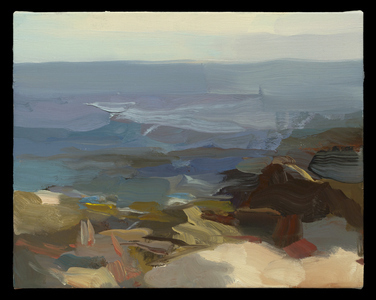 Included topics are: Approaches to composition in drawing and painting from observation such as gesture, tonal design, proportion, and atmospheric color harmony; Materials and techniques in oil painting such as grounds, pigments, solvents, palette organization, and color mixing; Landscape painting as a practice and as a source for other work. While this workshop is open to all levels, some experience in Drawing and/or Painting from observation is required. For inquiries about future workshops or to make a request, please email me!